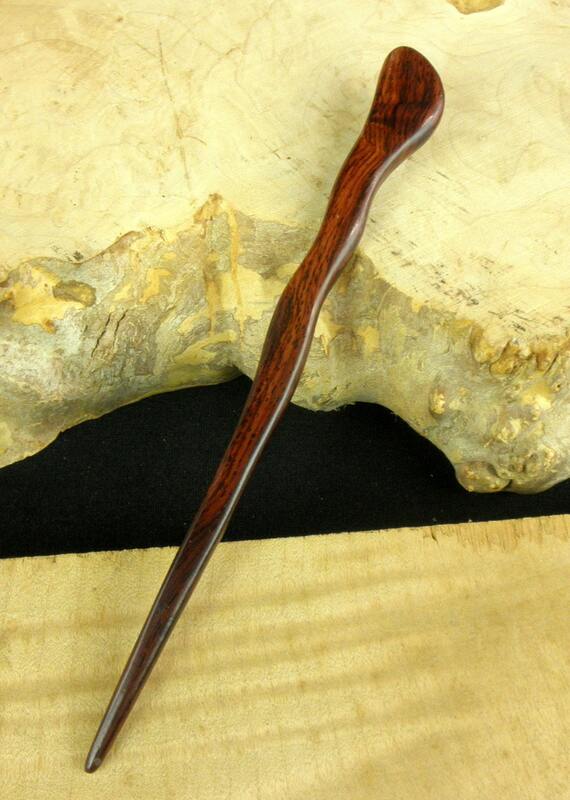 This 6 1/2 Inch Laos Rosewood Spiral Hair Stick is a "Rustic Heavy Duty " hair stick I have added to my line for the customer with Thick Hair that needs a super strong Hair Fork with great holding power. . It is 5/8 " wide; 6 1/2" long and 1/4" thick. The pictures do not do justice to this Hair Stick as the variety of colors is great. 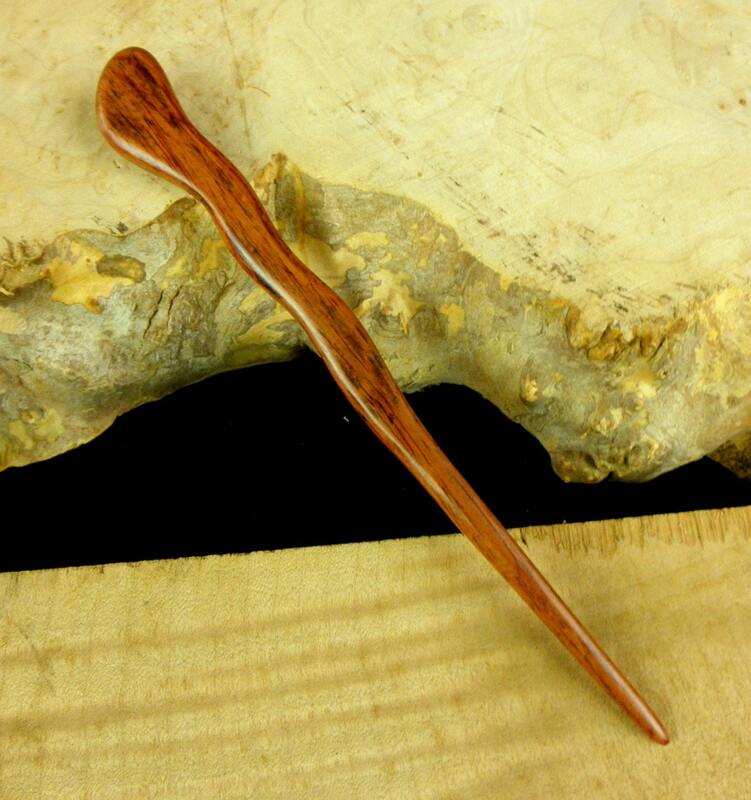 This Hair Stick is Stronger and the wood is much harder then my regular Indian Rosewood Hair Stick. This Laos Rosewood (Dalbergia Sp.) is very heavy and hard. 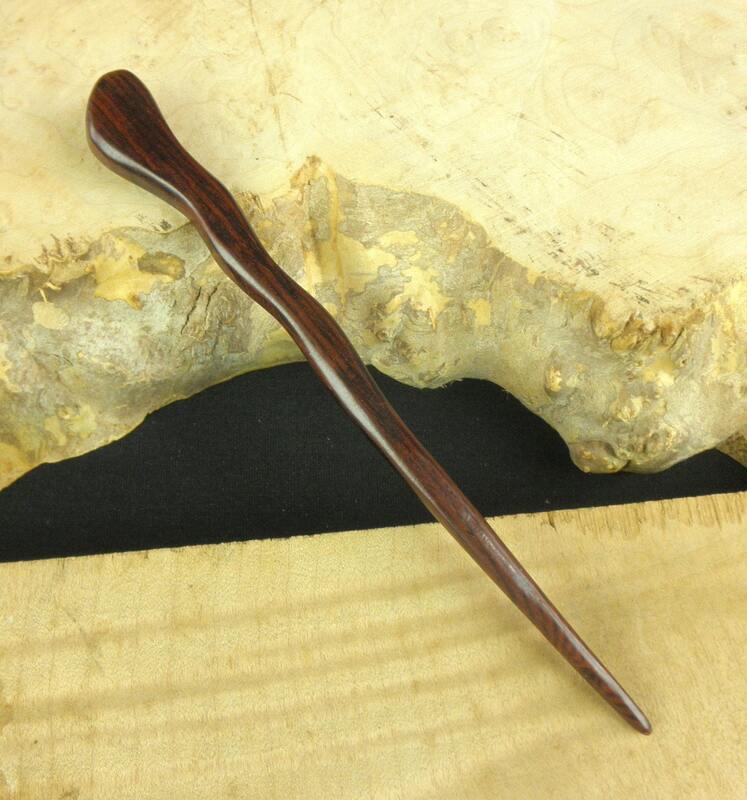 The color is a deep red with blackish grain streaks running through the wood. The color range can run from a pinkish hue up to a dark red almost a purple. 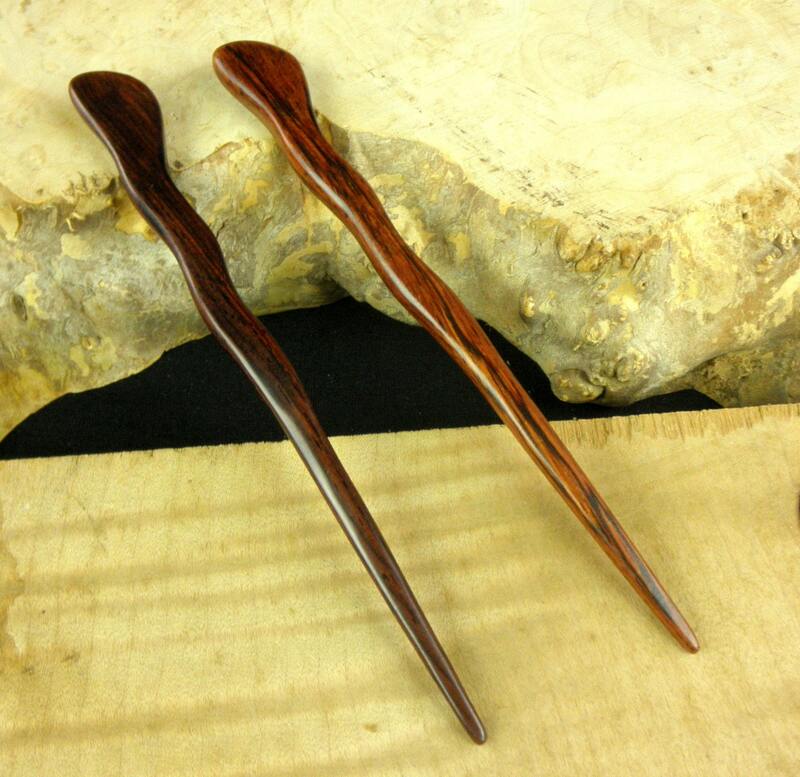 These Hair forks are being made out of Laos Rosewood and/or Striped Ebony so there are eight different listings here on Etsy for the Hair Forks and four listings for the Hair Sticks. 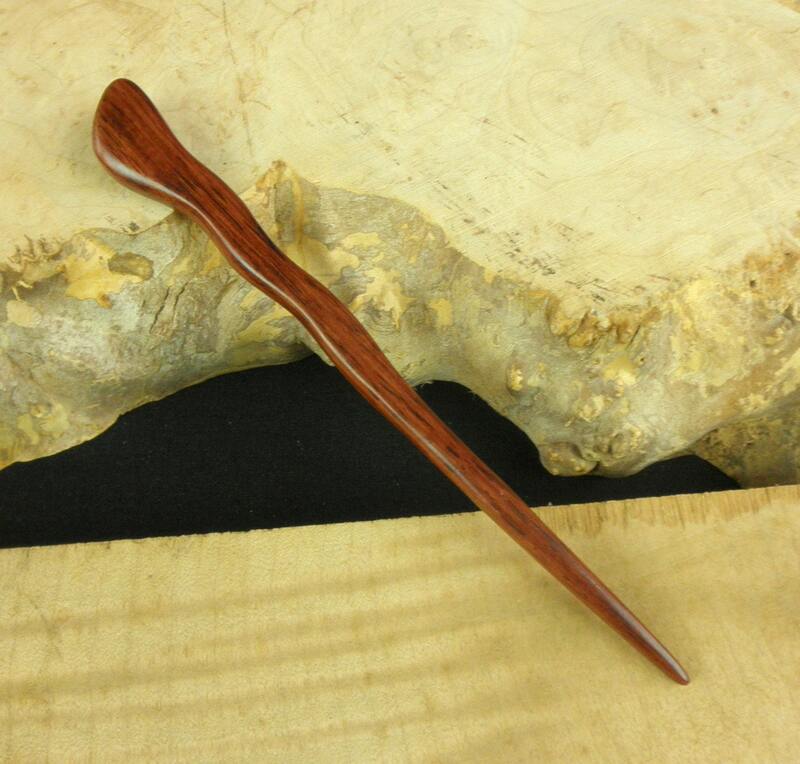 The Hair Sticks are finished with a lacquer coating and rubbed out to a semi-gloss finish and waxed with Johnson Paste wax. The last picture shows several different colors and grain patterns and is just to show the variety that this Hair Stick may come in. The listing is for only one Hair Fork. If you find any of my Hair Sticks not to your liking I will take them back. Love it and it arrived quickly! Gorgeous wood. Thank you so much!